We are committed to provide rigours and in depth reviews for crypto assets viz cryptocurrency and crypto tokens for companies which are enrolled with us. Our expert team of analysts assess each crypto asset based on proprietary rating algorithm. Rating scores are stored on smart contract for auditability. With numerous crypto assets coming daily in the market, we provide insightful guidance for investors by doing thorough due diligence based on Business, Legal, Financial, and Technical risk categories. Our ratings and reviews are comprehensiveand suited for both institutional and retal investors. Our team of crypto and industry experts provide actionable recommendations for rating improvement for companies for their crypto assets. This helps the crypto asset issuers to have visibility in rating movements and prioritise their course of action. Besides the rating platform, we are also developing Crypto Business World (CBW), a content platform focused on the crypto market. Why does the world need rating for crypto assets? Most of the crypto asset investors are multi-asset institutional investors who lack the particular expertise or are non-sophisticated retail investors, who lack the resources to do thoroughly research the crypto assets they invest in. Besides, the sheer volume of crypto assets makes it impossible for a diversified investor to analyze each of those ICOs properly. An unbiased rating system can help analysing the crypto assets with a consistent framework defined by similar parameters. How does CAR platform benefit a crypto asset investor? An unbiased rating system developed by our team of subject matter experts helps the investors navigate through the clutter of multiple crypto assets and identify suitable investment opportunities. Our rating system is an objective analysis of the underlying business (along with various other factors) and hence a fraudulent ICO with a frivolous or non-existent underlying business gets filtered out and can help investors separate the wheat from the chaff. 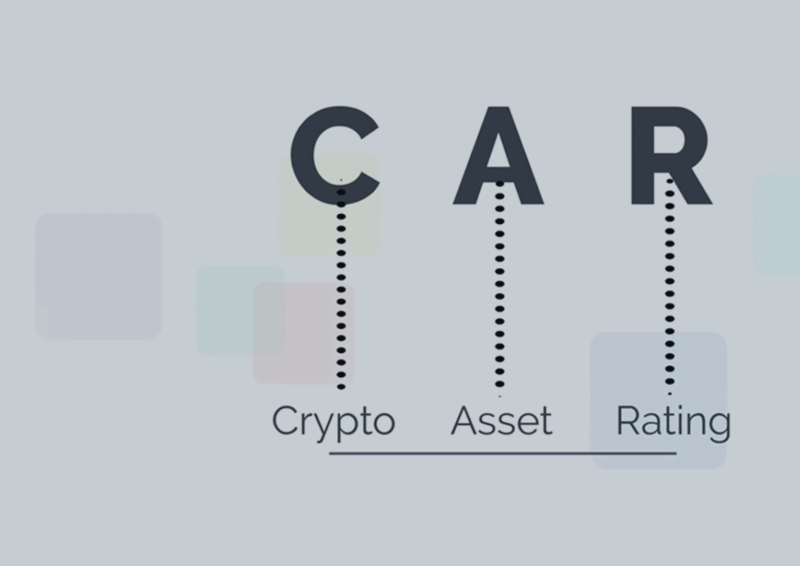 What a Crypto Asset Rating is NOT? Ratings are not recommendations to buy or sell or hold a particular crypto-asset or token, nor are they a guarantee that default will not occur. In addition, a rating does not comment on the suitability of an investment for a particular investor in a particular crypto-asset.